Calantha Wardrobe by Roopa Pemmaraju - Designing for the eclectic soul! Home Clothing Calantha Wardrobe by Roopa Pemmaraju – Designing for the eclectic soul! Calantha in Greek is “Lovely Flower”. Roopa Pemmaraju is a designer specializing in artistic print. 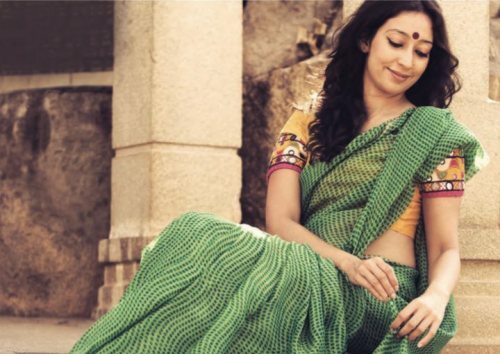 Her 60’s inspired collection Calantha – Vintage Sari Range is exquisite and portrays Indian heritage. 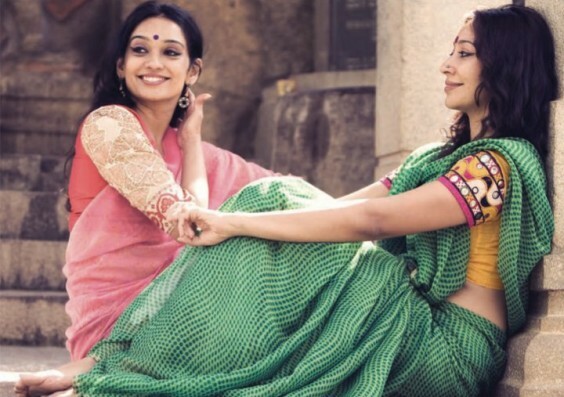 Indian Classical dancers Madhuri and Mayuri Upadhyay are the face of her collection. 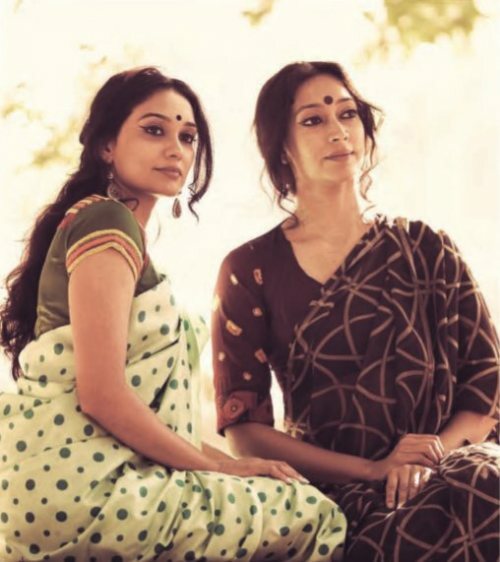 Roopa Pemmaraju’s latest collection Calantha Wardrobe’s Vintage Sari range is a tribute to the sixties era with an infusion of modern style to saris with classic Indian prints. The current trend of geometrical prints contrasts with the dyed two-tones of the olden day colour palette. 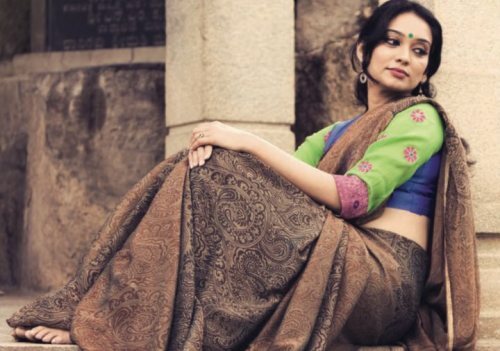 She has added a twist to the vintage sari range with modern cuts on high neck blouses, ¾ sleeves and adding ethnic patterns to luxurious chiffons and georgettes, thus bringing the sixties back. 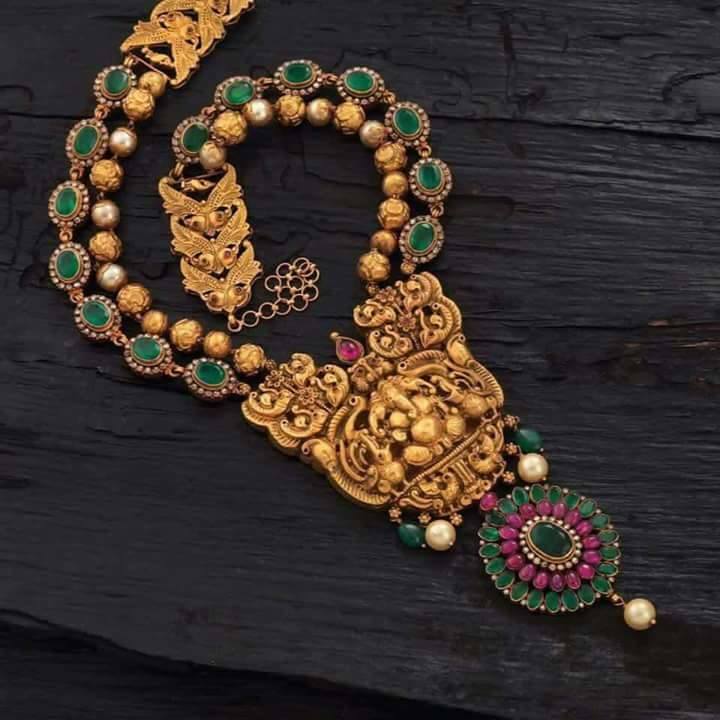 Yet from the look of this stylish collection, it seems like vintage never went out of style. Please visit her website and facebook page for more details.